Zabar's New York Passover Basket Giveaway - Comment to Win! Zabar’s Passover Basket Giveaway – Win a Gorgeous Basket from Zabar’s with Macaroons, Fruit Slices, Rainbow Cookies and More! Comment to win. Passover is just a week away, and my friends at Zabar’s want to reward you for all your hard work in preparing for the big holiday! In honor of Passover, Zabar’s has generously contributed their beautiful Passover Gift Basket seen above, which is filled with some of their tastiest kosher for Passover treats. The willow basket includes Zabar’s coconut macaroons, Empress Chocolate Bonbonniere, Schick’s assorted cookies, Zabar’s honey cake, Empress chocolate gems, Barton’s fruit slices, Schick’s rainbow cookies, The 21 Bar and Empress assorted chocolates. Passover planning is a big job and you deserve some nice treats to share with your loved ones (or keep for yourself, I won’t tell). For a chance to win the Zabar’s Passover Gift Basket, simply comment on this post – one comment per reader. Want additional entries? Share this post on Facebook, Twitter, Pinterest and/or Google + and let me know in the comments where you shared it. I’ll give you one additional entry per share! We will choose one winner at random for this prize basket on Tuesday, March 31. Winner will be notified via email, so please include a valid email address. This prize can only be shipped within the United States. Please Note: All entries will be subscribed to my free newsletter with free recipes and weekly post updates. If you are already subscribed, don’t worry, you won’t be subscribed again. You may unsubscribe at any time. Good luck! 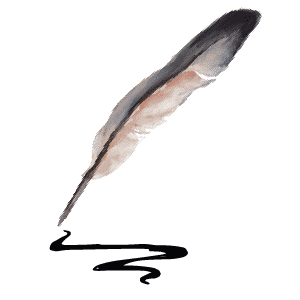 If you would like to sign up for Zabar’s exclusive emails and offers, click here. Follow Zabar’s on Facebook here, Twitter here. CONTEST CLOSED. Congratulations to Elayne, who was chosen via a numeric randomizer. New giveaway coming soon, stay tuned! Yeah!!!! I am so thrilled I won the basket. I live in Denver, former New Yorker. I can’t get some of these items here. My favorite being the rainbow treats. Big thanks to you Torey. And Happy Pesach to all. This basket looks amazing – give me those FRUIT SLICES NOM!!! This would be great to enjoy while I’m home for the holiday! I would love to win this beautiful basket! Zabars is my favorite NYC food store and the gift basket is gorgeous! Yeah–That’s how to do Pesach right! Loved making matzo toffee as a child and now I make it for my office! Pesach is such a wonderful time to spend as a family. Looking forward to giving this basket to my Mom for the holiday . This basket of delicacies looks very festive. Zabars is one of my favorite places to visit when I’m in New York City. Zabars food evokes childhood memories from my Grandma’s New York City apartment. So many sweets to share with the family and a beautiful basket to reuse after all the goodies have been enjoyed! The fruit slices for sure…they bring me back back to my childhood! Shared on my FB too for a chance to win this awesome basket! Fruit slices and Rainbow cookies. Shared too. Yam!!! 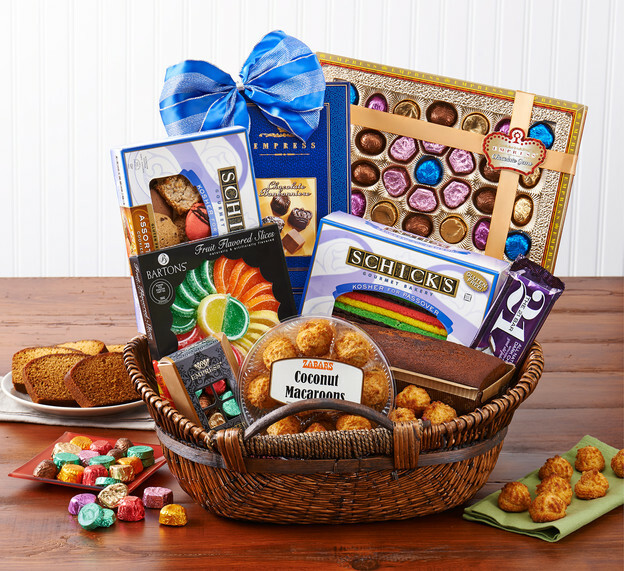 This basket looks delicious, it would be fun to win it! On a different note, i am a recent subscriber to the site and love it! I already found sone great recioes that i hope to delight my guests with at the Seder this year. I love chocolate so much. I hope everyone has a great Easter and Spring. Live and love life. It’s the only one we have! Thank you for the chance to win this wonderful basket full of goodies. I am hosting my first passover Seder this year for my friends in law school and this basket would be a perfect addition! Where do I begin…?? Fruit slices…chocolate….anything from Zabars is a win-win…..
How fun would this be to receive?! Love this site. Lots of great ideas and recipes. Already subscribed to the new posts. I’LL ALSO TRY THE AFIKOMEN CRAFT AND LET YOU KNOW WHO IT GOES!!!! What a beautiful basket!!! YUM! What a beautiful basket and I bet everything tastes as good as it looks. I love those macaroons and I would really like to win this for my mom who has a rare, aggressive cancer, is quickly losing weight, and can use all the calories she can get. Please?! The chocolate!!! Yum for everything else too! That basket takes me down memory lane! Many of the products are ones I remember from childhood and it would be great to have them again! What a beautiful basket! It would be so nice to win anything from Zabar’s! I miss going in the store for a real NY tasty treat! I love the lfruit slices.its a great reminder of my father in law who passed away.every passover he would look for an excuse to bring the fruit slices over to give to my sons.he enjoyed eating them with the kids.this passover is a very special one to me.my first grandchild was born 2 weeks ago,and i host passover every year.i want to make it a special one for my family since im a first time grand mother now.my son will pass on the tradition of the gruit slices when his son is a bit older.thank you tori for your revipes.i am enjoying them all not sure exactly which ones ill make.but for a typical israeli family there are lots to choose from.thanks tori. I love Zabars! The Coconut macaroons are my favorite. Thanks for the opportunity to win the basket! I miss all the goodies from New York! I would love to win this giveaway!!!!! It looks amazing!!!! I haven’t had a good macaroon in years. I’d love to try the brand that Zabar’s sells! Fruit Slices…remind me of smiles & rainbows!!! I shared this on Facebook 🙂 Happy Passover!!! Would love to win this! The kids would love it! !